On a crisp November evening, bucks chased does at one end of the foot plot while I watched from my treestand a hundred yards away. I grunted, rattled, and used every call in my bag of tricks, but their only response was to stop for a few seconds to stare in my direction before continuing about their business. As darkness approached, my frustration mounted, and that’s when it hit me. This would’ve been the perfect situation to use a deer decoy. I stopped at a sporting goods store on the way home and bought a cheap buck decoy. It looked ridiculous with its goofy fake antlers and painted eyes. I’d only ever used a decoy once before, and during that brief stint, I was sure I’d spooked every deer in Pennsylvania with it. This time around was different, though – which is to say, I was determined not to make the same mistakes I’d made the first time. Decoys can be a game changer during the rut. Peak rut is hands down the best time to use a decoy. Bucks are on the prowl for does and willing to fight for the right to breed. 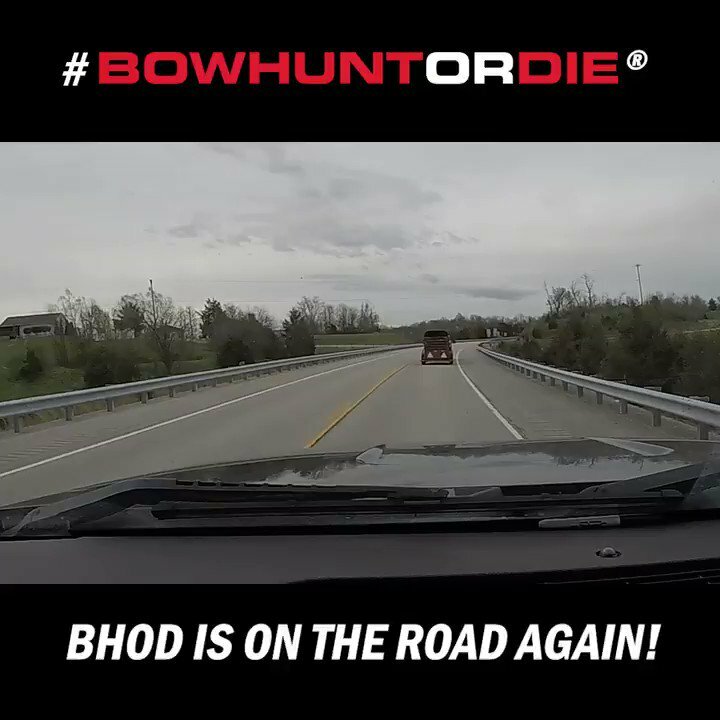 Any intruder poses possible competition, and this time of year, when a buck’s range expands, he’s bound to encounter plenty of strangers in his travels. Whitetails, by nature, are aggressive and territorial animals. Add breeding season to the mix and things can get explosive. One of the reasons I think decoys don’t work as well during the early season is because there’s nothing to fight for yet. Pecking orders have long been established, and most bucks are content to spend their time feeding and bedding. However, as soon as I start seeing bucks chasing does, and especially when new bucks are showing up on my trail cameras that I haven’t seen all summer or fall, I know it’s time to dust off the decoy. Rutty bucks are vulnerable to the tug of a well-placed decoy. I always place the decoy for maximum visual attraction. I want bucks to see it from as far away as possible. That’s the whole point, after all, to bring bucks within range that would otherwise ignore our calls. I’ve had bucks come from as far away as 200 yards to check out a decoy. Field corners are my preferred locations. Wooded or grassy points that extend out into fields are a close second. Although it’s peak rut, bucks still use cover as much as possible. They’ll often work along just inside the woods edge, scent-checking trails leading to and from the field. When they do decide to enter a field, it’s usually via the corner or a wooded or grassy point. The closer you can place the decoy to where bucks are already traveling, the more success you’ll have using it. However, one caveat to that is when hunting in the woods. Experience has taught me that in tight quarters, a decoy can spook a buck quicker than anything, so I avoid placing them in brushy draws and thick saplings where they can’t be easily seen by other deer. Instead, I look for open woods, trails, and old logging roads. Bucks don’t like to be ambushed by other bucks. They prefer to eye up their competition from a distance to determine whether or not it’s worth picking a fight. I’ve also learned that it’s a bad idea to use decoys near a man-placed food source, such as a feeder or mineral lick, during the rut. While hunting in West Virginia one fall, where baiting is legal, I knew bucks were satelliting the feeder, checking for does, without actually committing to coming all the way in. I thought a doe decoy with doe-in-estrous scent on its tail would fix that problem. Instead, any deer that approached quickly blew out of there like their tails were on fire. The whole morning, I had deer snorting at me from every direction. Along those same lines, I’ve found that decoys are best placed away from doe groups. For instance, if you’re hunting a food plot and know which trails the majority of the deer are using to enter the field, avoid setting up right on those trails. I prefer to set up a little off center so that the decoy isn’t the first thing they see as they come into the field. Set too close to the doe groups and you’ll inevitably encounter that one doe that’s not impressed with your decoy. She’ll circle and stomp until all the others are convinced that it’s a fake, too. Using a buck decoy rather than a doe decoy cuts down on this problem, as does aren’t as attracted to buck decoys. Every now and then, though, you’ll still get that curious individual determined to spoil your hunt, and there’s not much you can do about it. 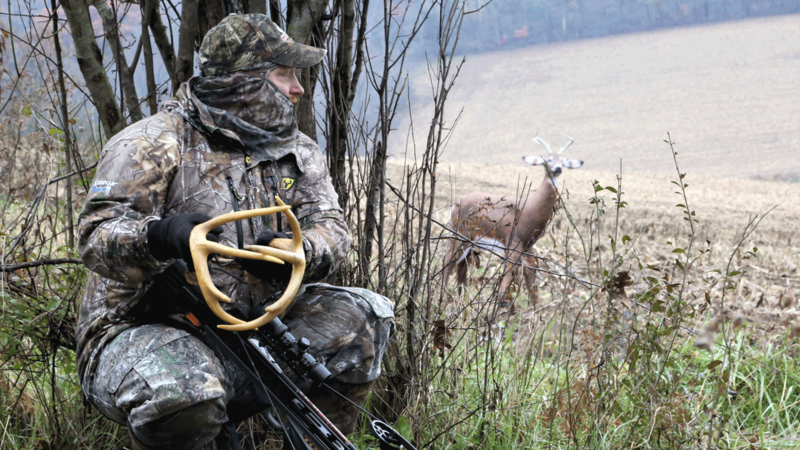 Stake down your decoy in the perfect spot and you just might find a big buck in your lap. Before placing the decoy in relation to your stand, know the wind direction and your effective killing range. For most of us, that means 20 to 25 yards. This is the distance the decoy should be placed upwind of your stand location. I know hunters who place their decoys at the outer fringe of their comfort zones with the expectation that bucks will circle downwind, between the decoy and their stand location, and thus be well within their effective killing range. In theory, it makes sense, but it doesn’t always happen that way. I’ve had bucks circle on the far side upwind of the decoy, too, and never get any closer. Personally, I like to know that if a buck is anywhere near my decoy, then he is in my wheelhouse. The decoy should be staked quartered toward your stand for the best shot opportunity. As bucks approach and circle, they’re doing two things. First, they’re scent-checking the decoy, and second, they’re trying to face the decoy head-on so that they can posture in an attempt to intimidate and establish dominance without actually having to fight. During this time, their eyes are locked on your decoy, which allows you to get into position to take the shot. Take the shot as soon as it’s available. Don’t hesitate. Whitetails are amazingly quick once they decide to attack. I’ve seen them trample a decoy in the blink of an eye and scamper off just as fast. Decoy placement is everything when it comes to setting up the perfect shot opportunity. When using a decoy, I call and rattle frequently. During peak rut, cruising bucks can show up anywhere at any time and periodically move in and out of hearing range. Calling and rattling often is one way to get their attention, and hopefully the decoy will pull them in for a closer look. Always wipe down or spray your decoy with scent eliminator and store it in a clean area. If using deer scent, avoid placing it on the decoy. Rather, spray it on the ground under it or on a scent wick. This makes handling the decoy easier without contaminating your clothes and gear. Spray down your decoy to eliminate any human odor when setting up. Every deer herd is different, and how deer react to decoys will depend on factors such as area of the country, buck-to-doe ratios, and intensity of the rut. The same can also be said of calling and rattling. The harder bucks must compete to breed, the better they’ll respond to these tactics. Finally, use your decoy consistently. That’s the only way to gauge whether or not it’s effective and to figure out what’s going to work in the area you’re hunting. Decoys aren’t the end-all, slam dunk for all season bowhunting success. Rather, they’re one more tactic you should have in your bag of tricks. Used at the right time and the right place, they can be extremely effective. Ralph Scherder is a full time award-winning writer and photographer from Butler, PA, where he lives with his wife Natalie, two kids Sophia and Jude, and an English Setter named Charlie. He has hunted and fly fished all over North America, and God willing, will continue to do so for many years to come. Decoy Hats: Good Idea or Great Way to Die? I’ll have to disagree with your decoy placement at 20 or 25 yards. Why do I disagree? For this simple fact. A buck coming in on your decoy may stop at 40 yards out to examine your decoy. You have no shot. At least an ethical one. I suggest you set him at ten yards. This way the buck may come in closer and give you a closer shot at him. I’m just saying.